The candidate should register with the Name, Email ID and Mobile Number to fill the application form. Fill the application form with the required details like the student info including course, admission type, student category etc. Provide the correct information about the address, E-mail ID, telephone number etc. Also, provide guardian/ parent information. Enter all the academic and other additional details like previous work experience, if any. Choose the mode of submitting the documents. The options are to upload the scanned documents or to send the documents through post. Within 1 day of receiving the application, eligibility of the candidate will be checked and the schedule for Personal Interview will be sent to the candidate through phone or E-mail. Within 2 days of receiving the application, Personal Interview of the candidate will be conducted by the Professor of the respective Department over telephone or in-person. Depending upon the feedback of the evaluating Professor, admission will be offered to the selected candidates. Within 1 day of the Interview process, results will be announced. Offer Letter for Admission will be e-mailed to the selected candidates. Applicants are required to have all the documents ready before applying. Upon visiting the official website, they must fill in the "AIMS MBA Online" application form. A fee payment of INR. 1500/- must be done towards the application. After application, the eligibility check is conducted and the eligible candidates will be notified through phone or E-mail about the "Preliminary Screening Interview" within 3 days of applying. 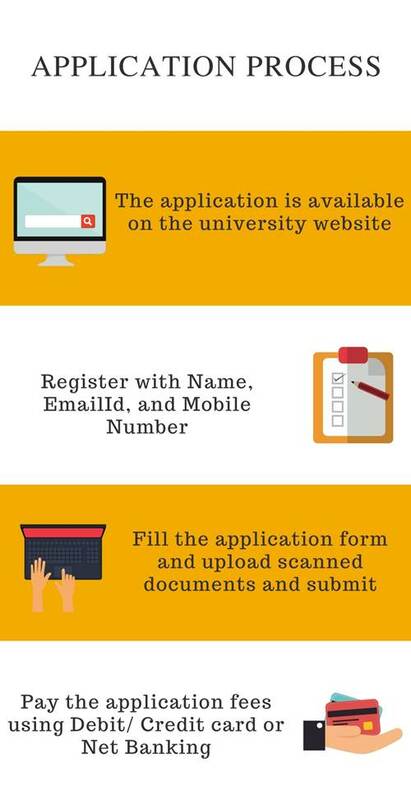 Within a week of application, the Preliminary Screening Interview of the eligible applicants will be held in person or through Skype by the MBA Professor. The applicant will be called for AIMS Selection Process depending on the Professor's feedback. The scheduled date will be notified to the candidates. Degree Marks card (Semester or Yearly). AIMS selection rounds include Statement of Purpose (SOP), Group Discussion, Extempore, and Personal Interview. The applicants can use their AIMS Login ID and Password to check their result on the website. Selected candidates will be eligible for provisional admission. For the final admission, the candidates have to fill the Registration Form, Admission Application Form, and the Medical Certificate (to be filled by a certified medical practitioner). Karnataka Students/ Non-Karnataka Students- In order to get admission in AIMS Institute, the candidate must have passed PUC or any other equivalent examination and the students with good communication skills are preferred. SAARC Students- The candidate must have Certification in GCE/ IGCSE/ GCSE and should have passed in minimum five subjects at 'O' level & two subjects at 'A' level. 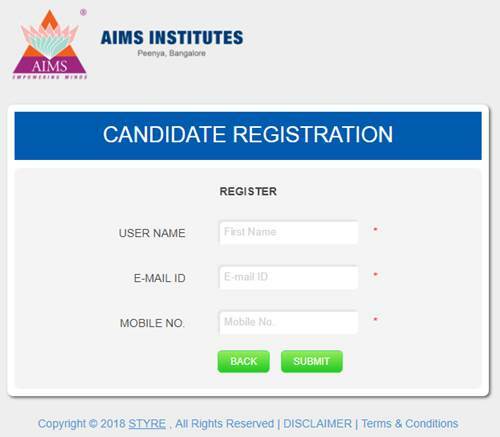 The candidate must have passed Graduation in any field with minimum 50% marks or above to be eligible for AIMS Institute, Bangalore admissions 2019. They should have secured minimum 60 percentile in CAT or 70 percentile or above in MAT / CMAT / KMAT / ATMA / GMAT Entrance Examinations. PGCET is also accepted based on the rank secured. Those who have a minimum of 1-year Work Experience are preferred. In order to get admission in AIMS Institute, the candidate must have passed BCA or any other equivalent degree with minimum 50% marks for General Category and 45% marks for SC/ST. The candidates with Mathematics/ Computer Science/ Statistics/ Computer Application/ Electronics as a subject in the 12th standard examination are eligible to apply for admission. In order to get admission in AIMS Institute, the candidate must have passed B.Com/ BBM or any other equivalent degree with minimum 50% marks for General Category and 45% marks for SC/ST category students. In order to get admission in AIMS Institute, the candidate must have passed B.Sc or any other equivalent degree with 40% marks in all the optional subjects & 50% marks in the mandatory subjects at the Bachelor's Degree level. In order to get admission in AIMS Institute, the candidate must have passed any BSW/ BA course from a recognized college/university with a minimum 50% marks. I choose this college based on the review in websites and the name and fame AIMS has. and the academics point of view I impressed lot and in KEA website the college in the top. the main thing I joined this college for focus center and top teaching faculties. In every website the review was good. After all this thing means Query I apply directly for admission..because I am management student..so I send my all certificate(10 th, 12 the and BCA mark sheet) to college ..and college verify my certificate...then I came to college and meet admission depart net and I got it my admission after all this thing means Query I apply directly for admission..because I am management student..so I send my all certificate(10 th, 12 the and BCA mark sheet) to college ..and college verify my certificate...then I came college and meet admission depart net and I got it my admission.. The eligibility crieteria is 12th pass and the admission procedure of BHM.i applied this collge directly. first of all they will give the admission form that one we have to fill.after submitting the form they will take our interview. After this they will ask you for your 10th and 12th certificate for the admission preocess. after all the procedures we have to pay the fees. 1)For getting seat at AIMS institute. one has to Forward a DEMAND DRAFT of ₹20,000 in favour of "AIMS INSTITUTE". 2)Admission are purely Direct basis until the seats are full. 3)Documentation are done and mark sheets are physical verified by the teachers. 4)Later all details are uploaded at Bangalore University. 5)Students then gets their registration number. 6)Finally students are admitted in the college. There are Entrance exams for the Graduate courses but I opted for the undergraduate course so I got a direct admission. As my 10th and 12th grades were good and the institution felt that I am cable of living up to their future expectations. And the Admission process is quite convenient. First- Apply for the Registration. Secondly- you will get a call for the confirmation and you need to submit your documents (10th and 12th mark sheet, Transfer certificate, Migration certificate etc.) Thirdly- They will physically check your documents and you will be later on informed about your admission confirmation. 1) For getting seat at AIMS institute. one has to Forward a DEMAND DRAFT of ₹20,000 in favour of "AIMS INSTITUTE". 2) Admission are purely Direct basis until the seats are full. 3) Documentation are done and mark sheets are physical verified by the teachers. 4) Later all details are uploaded at Bangalore University. 5) Students then gets their registration number. 6) Finally students are admitted in the college. 2.fill up the admission form. 4.Submit all are our documents . 6.payments of 1st sem fee. The campus placements are good. Top MNCs from all over India visit the campus for hiring and the packages offered are good, ranging from INR 3.5 to 8 lakh per annum. Tech Mahindra, Deloitte, Eureka Forbes, Emami Agrotech, Amazon, Oracle and many more companies visited the campus. Training in SAS, digital marketing, advanced excel and many more courses are offered for students, which make them corporate ready. Eligibility criteria for admission in this college is 12th pass with first class and above marks. There is no such entrance exam for getting into this college. Only the student willing to join this college must have a minimum of 60% and above in both 10 and +2. A face to face interview of the candidate is conducted at the time of admission process. We had to attend the entrance exam for Karnataka board, Bangalore University MCA course, named PGCET and I have scored 594th rank in the same and could go with the merit list announced by the college under pgcet basis. We had to go through the process of college choices, allotment, and verification. I got admission based on my grades from the 12th standard. I was introduced to this college in an Educational-Fest held at my state. The details of the admission were discussed in the fest itself. It was quite easy to get an admission if u pay a certain amount of money before-hand. i found the college from an online website. i came to the college with my parents, had a tour of the college. we met the faculty in the office of the admission department and took all the required forms and filled it and submitted it with the required documents. The basic criteria for taking admissions in AIMS for persuing the bba degree is that the student should have a aggregate of 60+% in their class 12. There is no such entrance exam for taking admission, but the college take personal interviews of the students. I was considered as a merit student in this institution and was directly admitted with concession in fees.First I filled the application and then submitted, later I submitted all the reqired documents to the related departments. Then I was assissted by them. There where no enterence exams as per my concideratations i just took direct admissions. There were no cut off to take up this course. •Eligibility, should have cleared +2. • Procedures are really simple, you just have to get your previous marks cards and you'll have to provide your information. Luckily I didn't had to give any entrance exam. Eligibility criteria for admission in this college is 12th pass with first class above marks. We don't have entrance exam as such but we have a personal interview to get admission in this college. 60% and above. 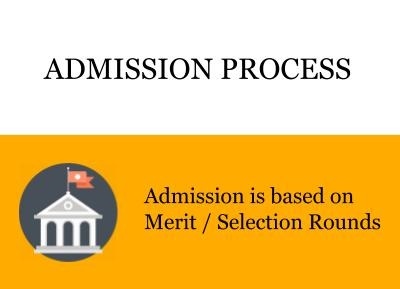 ENTRANCE WAS BASED ON MERIT AND A ADMISSION TEST. CUTOFF WAS 60% FOR MY COURSE. ADMISSION IPROCESS IS NOT SO TIME TAKING.ANY PROBLEM OR QUESTIONS REGARDING ADMISSION WAS ANSWERD AS SOON AS POSSIBLE. There isn't any entrance examination if the passing percentage of 12th is good or above average, no such cut offs as the seats gets filled before the month of June, early admissions are advisable. PASSING MARKS IN +2..ANY STREAM.. SUPPOSED TO GIVE PERSONAL INTERVIEW..
You have to have minimum or more than 50 % in your 12 th examination,then they will take a skype interview and after a good answer they will approve you. AIMS INSTITUTE IS A GOOD COLLEGE WHICH TEACHES US NOT ONLY SUBJECT BUT ALSO MORAL VALUES. WHICH ALSO ENCOURAGE YOU TO PARTICIPATE IN ALL THE ACTIVITIES. To get admission in this college, the candidate must have passed the 12th from a recognized institute. No separate entrance exam is conducted for B.Com. Must get minimum 50%in all subjects in 12th boards. No entrance exams are required for the admission. No such cutoff are declared till now. The eligibility criteria is 60% aggregate in all the subjects in 10th and 12th. No particular entrance exams are conducted for the same. Very good college Has all the facilities required There are no enterance exams Around 50+% is required in qualifying examination. 40% is the cutoff at AIMS Institutes. There are no entrance exams. The entrance exam is taken for admissions is PGCET which is later followed by personal interview. 50% or above in graduation. * In order to be eligible for the final admission offer, the candidate must have appeared for the entrance exam as directed by AICTE, New Delhi. We have limited scholarships available based on various parameters like academic background, sports, cultural activities, etc. We suggest you to enrol early to avail these scholarship programmes.